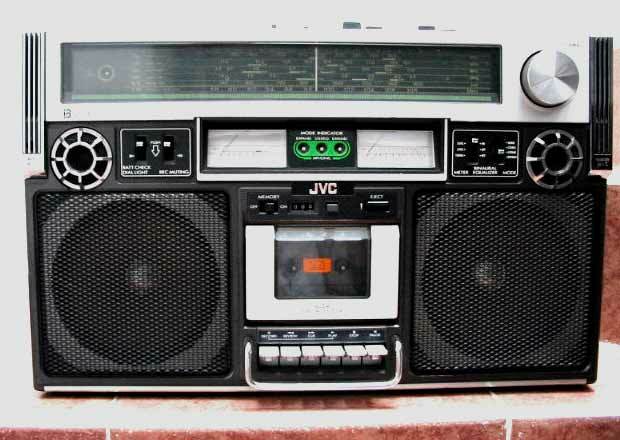 Hector Amezquita in Mexico City proudly displays a “holy grail” in the boombox world, a JVC RC-838 (this one’s technically an RC-838JW, the JW is code for an optional voltage control). Released in 1978, it was dubbed the Biphonic system and looks remarkably ahead of its time. It’s completely packed with functions: jacks for remote, auxilary equipment, headphones; beat match; “binaural” eqalizer, LEDs for expand/stereo mode; 6-band radio (4 SW/AM/FM) and two antennas. Thanks Hector!